No politician has done more for vaping than the incredibly courageous Martin Callanan. 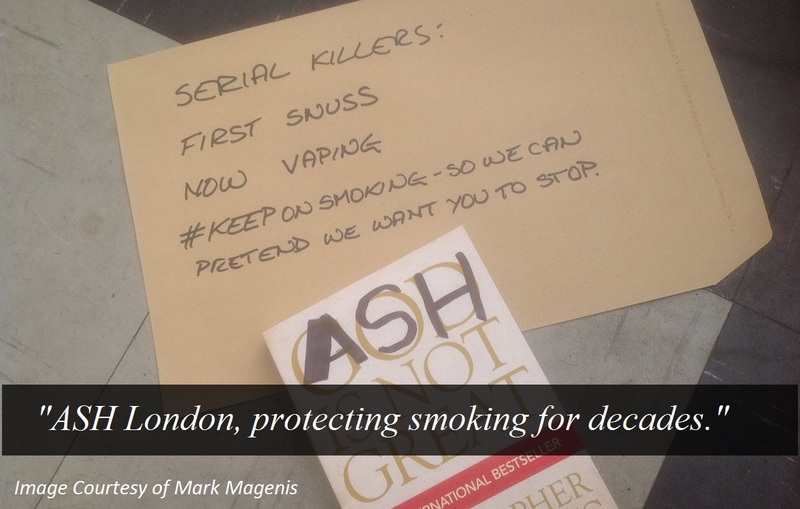 As an MEP and now in the House of Lords he has fought like a tiger for vaping. He is the man who more than any other in the European Parliament successfully fought off compulsory medicinal regulation of e-cigarettes which would have completely killed vaping for 500 million Europeans. Over the weekend like many of you I wrote to several Labour MPs, including Heidi Alexander . Earlier I recieved a reply from Ms Alexander that shows clearly external lobbying has affected the Labour stance on this issue, and also shows Ms Alexander has little or no understanding of the matter at hand…. Dear Ms Alexander. Thank you for your reply regarding your thoughts on Lord Callanan’s motion. This will likely be my last update. After a long wait I have finally been advised by my lawyers of the costs being sought by the health department. They are seeking $54,000 in costs which the courts have already approved. I have 21 days to argue the costs but it is not likely to change the outcome. There was not enough money raised to appeal to the high court so the road will sadly end here. Once again, the Swedish government caved to EU interference concerning Swedish snus. On May 20, 2016 the EU’s Tobacco Products Directive was implemented in Swedish legislation, which among other things means new health warnings on snus cans….. The FDA, Big Pharmaceutical, Big Tobacco, and the Special Interest healthcare groups are sitting back and laughing at vapers right now. Friendly fire will kill this industry, and I’m going to spend the next minute or two stepping out of my role as a GuideToVaping writer and put my feelings out on the site. Australian vapers are once again getting attacked by their own government — this time in the state of Victoria. The state has proposed a bill that will treat e-cigarettes exactly as tobacco products, and Victorian vapers have just a few days left to fight the new rules…. Scientists funded by Cancer Research UK who spend their lives hunting for cures for the disease are among thousands of academics whose pensions are invested in the tobacco industry, the Guardian can reveal. The latest annual report for the university staff’s pension fund shows it had £211m invested in British American Tobacco in the year to 31 March 2015 – its fifth biggest listed equities holding. Yet the science and numbers show that vaping itself is leading adults and youth away from smoking if anything. The Vapor Technology Association is organizing a conference intended to professionals in vaping, in Washington, D.C. those 7 and 8 June. Its object is, of course, the Final FDA’s deeming regulation.